Inner Rambling of a Mid Life Mama. 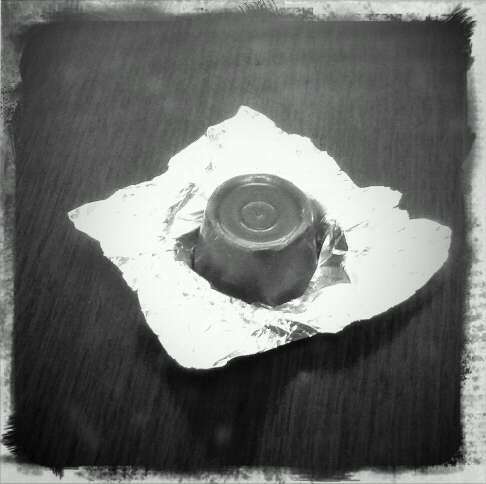 : Do You Love Anyone Enough to Give Them Your Last Rolo? No....which is why I eat them in secret and keep an everlasting supply on hand so the situation never arises! Classic avoidance; I mean I don't wish to offend anyone, Rolos are so freakin' delish, I would die and go to heaven if they came in dark chocolate! Whoa! Absolute treatyness. Hersheys makes them here in the States under licence from Nestlé in Switzerland....OK that's why they are so good,right up there with Toblerone....which is now made by Kraft Foods...not as exotic as being made by Suchard as it was previously. I wonder if it's as crazy fantastic as I remember? These chocolate greats hold some warm fuzzy memories for me, visions of the playground and the school tuckshop in the seventies and later the ulitmate score whilst on the cross Channel ferry to France and Belgium. It just wasn't a ferry ride without scoring the biggest Toblerones you can imagine....bigger than a tonker toy! My eldest sister could hoard a Toblerone for ions, taking just a piece at a time and carefully rewrapping the bar until she felt the need for the honey almond goodness again. Super effin' annoying to a choccy guzzler like moi.....however....I have since learned the art of savouring the chocmoments and now I too frustrate the hell out of family members who lack the choc patience. All very amusing! That particular sister also made cheesecakes occasionally..random memory from about thirty or so years ago! And as I check out the interweb I find that there is infact a number of recipes for Toblerone Cheesecake.....imagine....the scrumptiousness of the base and the sweet filling all mixed with a white chocolate Toblerone! How has it taken me forty plus years to discover this? I wonder if there' such a thing as a Rolo Cheesecake......please God let it be so! Kindly stop drooling on my blog.....here is my promise to myself, I'm going to try the toblerone cheesecake and seek out a rolo recipe then keep them under lock and key in the fridge tormenting everyone with my will power of steel...bbwwwaaaahahahahaha this just in.... check out Natalieskillercuisine.com.....sigh!! and she takes pictures....and likes Lady GaGa......in short...she rocks! i'm not sure about the rollo cheesecake but the cheesecake factory makes a dulce la leche one that i could swim in it is so good. I would give away my last Rollo, but I would fight to the death over a Snickers.